From casual or formal occasions, family gatherings to corporate affairs and weddings: we custom design our services to your needs. We cater events in your residence, backyard, office or in a rental venue (available from cozy 30P capacity up to modern banquet hall with a stage for up to 280 guests). We specialize in fine catering for the discerning palates of the tri-state connoisseurs! Private or corporate event - either way we assure a wonderful experience. You and your guests will be attended to with professional courtesy, attention to details and of course, served delicious food. We do all the work; you relax and enjoy the company of your guests with a smile on your face and without stress! Simply, be a guest at your own party! Let us cater your celebration in style! We understand the hospitality business and execute the details of your event with expertise, pleasant attitude and unobtrusive presence. Culinary Affair under Blazena Federer’s professional management shows her international experience in hospitality business. 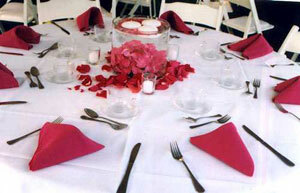 Culinary Affair is known for their outstanding quality of food, passion for their work, immaculate service and integrity.